Ogden City has one of the best Christmas scenes in the state: The Christmas Village. Rows and rows of small houses are set up by different companies, schools, clubs and banks. It’s a great way to advertise and to get involved in Christmas cheer. 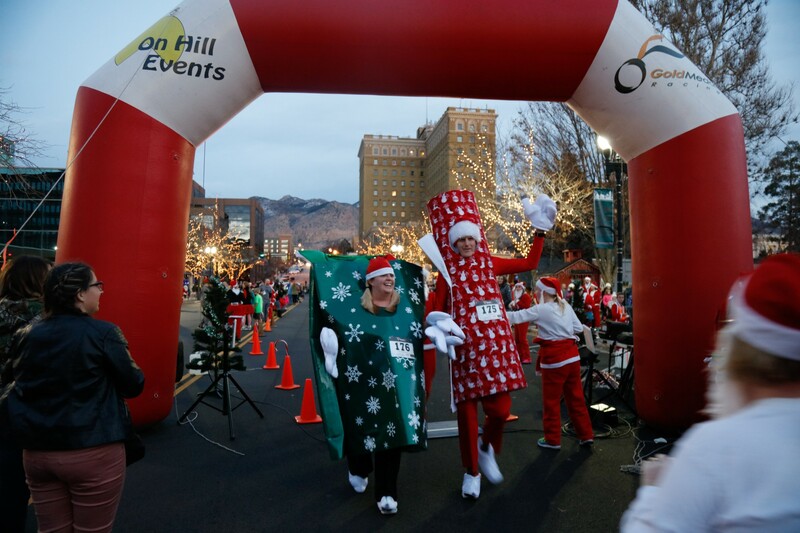 Runners participate in the Santa Run during Ogden's Christmas Village Opening Event on Saturday, Nov. 26th. Christmas Village opened on the evening of Nov. 26. The event started with a Santa run at 4:30, which included hundreds of runners making their way down Washington Boulevard. 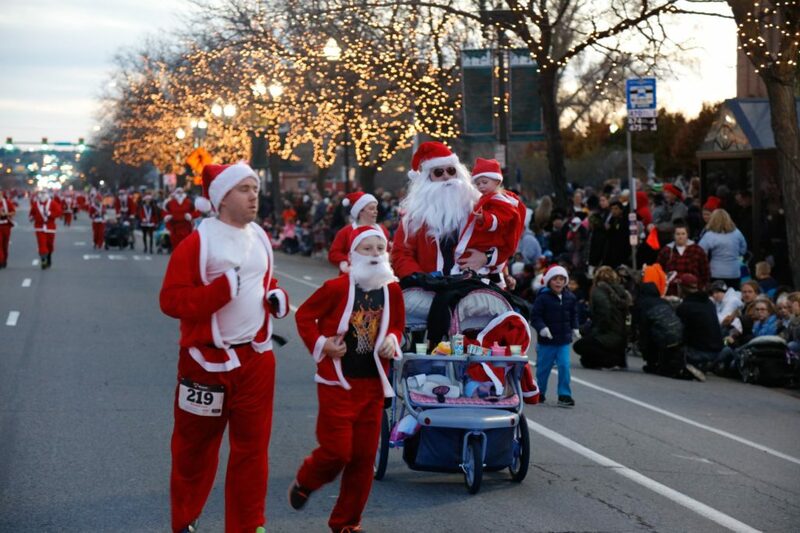 Participants were given a Santa suit and beard to wear while running. After the Santa run, a parade of 50 floats, showing off holiday lights and cheer and giving candy to children, proceeded down Washington Boulevard. Some floats included Ogden City Mayor Mike Caldwell riding on top of a lighted fire truck, the WSU Dental Hygiene Department and the Ogden High marching band. Santa and Mrs. Claus wave to children and their parents during Ogden's Christmas Village Opening Event on Saturday, Nov. 26th. The Grinch showed up, as well as reindeer, dancing horses, Storm Troopers and Darth Vader. 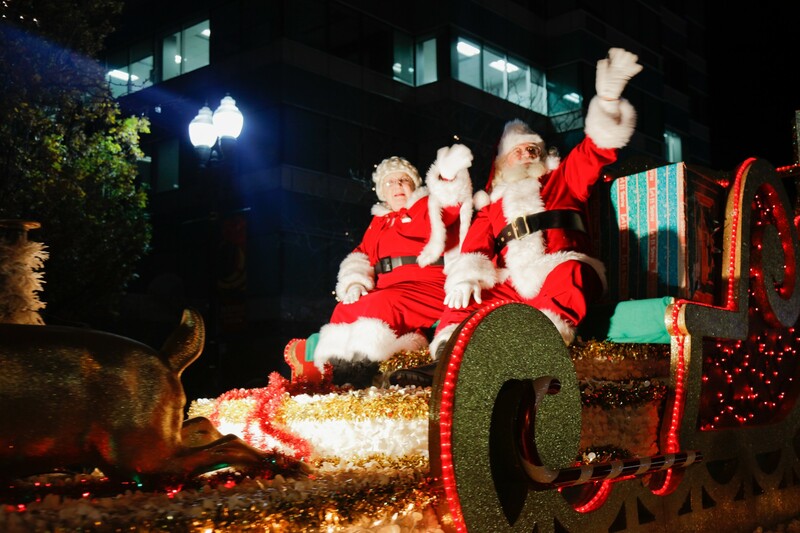 For the parade’s finale, Santa and Mrs. Claus rode in on a sleigh with their reindeer. For children in attendance, it was magical. 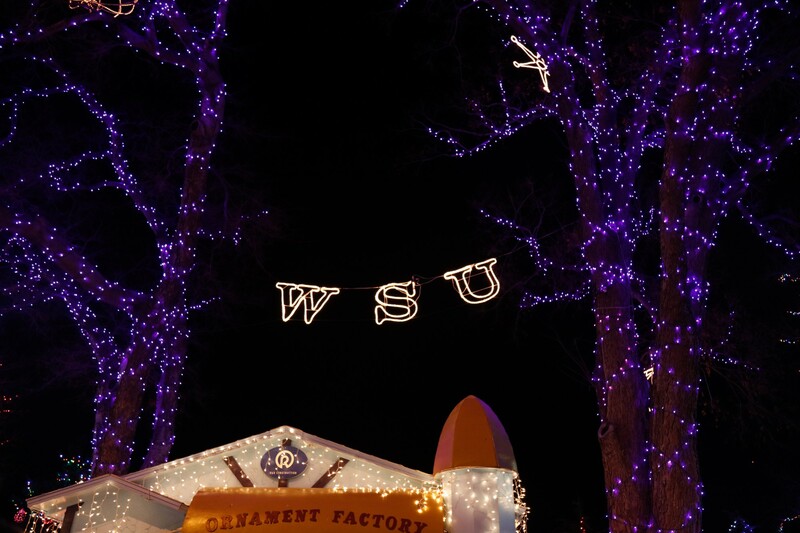 Weber State University shows off its pride downtown at Ogden's Christmas Village on 25th Street. The evening concluded with Ogden City turning on the lights at the Ogden Municipal Gardens, which are connected to all the Christmas houses and holiday displays. At the moment the lights came on, fireworks erupted into the night sky, filling the hundreds of people who filled the streets and parks around 25th Street with awe. The evening didn’t end there. As people strolled through the park looking at the houses, there was live entertainment at the amphitheater that went on well into the night. Ogden City holds this event yearly the weekend after Thanksgiving.